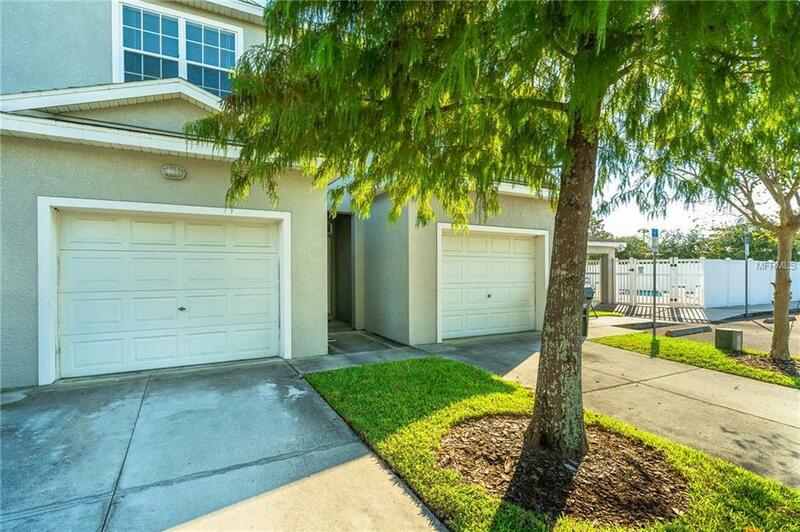 Contemporary updated townhouse in a central Pinellas location. This home features a functional open layout over 2 stories with 2 bedrooms, 2.5 baths, and a 1 car garage. Ample natural light flows in through the numerous windows and sliding glass doors. The kitchen features a center island, granite countertops, and updated stainless steel appliances. Upstairs are two large bedrooms, each with their own en-suite bathroom. The master suite includes a walk-in closet and sliding doors leading to a private balcony. Community amenities include a large well-maintained pool, spa, trash service, water, sewer, lawn maintenance, building maintenance, pest control, and building insurance. The central location of this home allows for convenient access to everything Tampa Bay has to offer including the airports, award-winning gulf beaches, shopping, dining, schools, and so much more all within a 25-minute drive. Dont miss out on this rare opportunity, call today to schedule your private showing! Additional Lease Restrictions See Hoa Guidelines For Lease Restrictions & Approal Process. Pet Restrictions See Hoa Guidelines For Pet Restrictions.